EliteView provides a user-friendly interface for managing SMC Networks and third-party network devices. This software is specifically designed to support the efforts of the MIS manager, system administrator(s), technical staff responsible for network management and maintenance, and network operators who use the system on a daily basis. 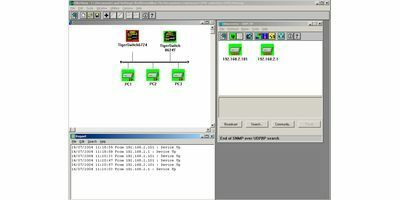 EliteView provides all the tools you need to manage nearly any kind of network. You can readily monitor the traffic load throughout the network and make the changes required to avoid major crises ahead of time.